The main debate currently going on in the American society, on the issue of fire arms, is the gun control versus gun rights debate. To make a long story short, the debate clashes, on one hand, the opinion that greater gun control and restricted access to guns would lead to a safer environment, with the opinion, on the other hand, that gun rights are fundamental to any American citizen. The debate remains as hot as ever and neither group was able to silence the other group’s claims significantly until now. It could be argued, however, that access to guns and gun dealership have become increasingly more difficult over the years, requiring each applicant to prove a clean track record and no history of mental problems, but it’s still not a problem for virtually anyone to obtain a gun if they want to. There’s just a greater amount of paperwork required, but that doesn’t mean you can’t obtain a fire arm once you put your mind to it, so the general picture is the same, which is why the debate isn’t settled either. What is the Conceal and Carry Policy? While it’s hard to pick a side since they both have compelling arguments for and against greater gun control, it should be mentioned that a specific policy was advertised for a while as a sort-of solution for at least part of this debate. 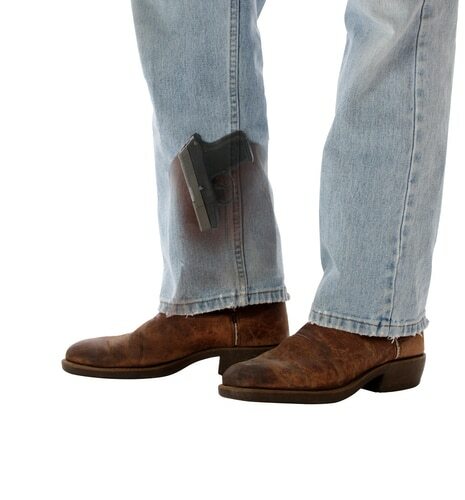 This policy is the so-called conceal and carry policy, which states that any non-law enforcement individual is allowed to carry a concealed handgun in public, upon obtaining the required permit for it, of course. This rule is enforced in all 50 states, but only in Washington D.C. concealed carry is not allowed for anyone except active and retired law enforcement officials. The proponents of this policy, who tend to fall more into the gun rights camp of the major debate described above, argue that potential criminals are less likely to attack someone they believe to carry a concealed weapon, since the potential victim could be more dangerous. Also, another argument in favor of this policy is the fact that a conceal and carry approach, as opposed to a non-concealed carry, makes people more comfortable around gun carriers. The last part is obviously true, since no one likes to stand in public next to a stranger who would obviously be carrying a fire arm, but the part about this approach preventing crime is still subject to debate, as the heated discussions on the matter indicate. Since the conceal and carry law favors not only the ownership of fire arms, but also their presence in the public sphere, even though concealed, it’s obvious that it’s backed more by the groups within the gun rights side of the debate. The most heated part of the discussion is on the matter of concealed guns being present in schools and campuses, as these places are more prone to violent and impulsive acts of all kinds, not to mention that since they shelter the nation’s youth, greater panic is prone to ensue about them. The most coherent critique about the presence of the conceal and carry approach in schools was expressed in this manifesto signed by the Students for Gun Free Schools organizations. In the document, the authors denounce an opposing group, called the Students for Concealed Carry on Campus, that advocate for the right of students and faculty members to carry concealed weapons within campuses of high-schools and universities within the United States. The manifesto against this approach denounced the fact that such organizations are insensitive to tragedies like campus shooting sprees that occur so often, and are also dubiously backed by gun rights groups and weapons corporations that obviously have a huge interest in the matter. This debate about the presence of concealed fire arms within campuses and schools is very relevant to the broader debate about conceal and carry because all subsequent debates on the matter seem to be very similar to it. Virtually any other debate you can find about the efficiency of this approach (the conceal and carry policy) and even about gun control versus gun rights per se, is very likely to be reducible to the debate presented above. Unfortunately, the seriousness of the situation regarding safety and violence makes it almost impossible to settle the matter once and for all, at least not any time soon. Hey Buddy!, I found this information for you: "Conceal and Carry – A Debate about American Rights". Here is the website link: https://thegunrights.com/conceal-carry-debate-american-rights/. Thank you.